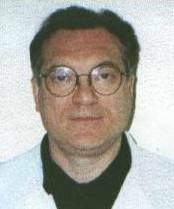 MA medical license profile for Boris I. Orkin as of 6-11-2017. $1.315,000 judgment for negligence during a botched abortion that left a woman partially paralyzed and brain damaged. Screenshot of medical code allegedly used for Medicaid abortion. Complaint, and itemized unpaid bill for patient Alexandra Dineen, totalling $4115.00. Court docket for case involving unpaid bill for patient Alexandra Dineen. Past complaints, malpractice, license renewals, etc. Dept does 1st and 2nd-trimester surgical abortions, and medical abortions. See pages 44-46 for details on Family Planning, abortions, and Ryan Residency abortion-training program. Page 45 screenshot from 2017 Annual Report. Details on abortions in the Family Planning Dept. Abortion doctors include Maureen Paul, Sirapanth Nippita, Boris Orkin, & Bri Anne McKeon.